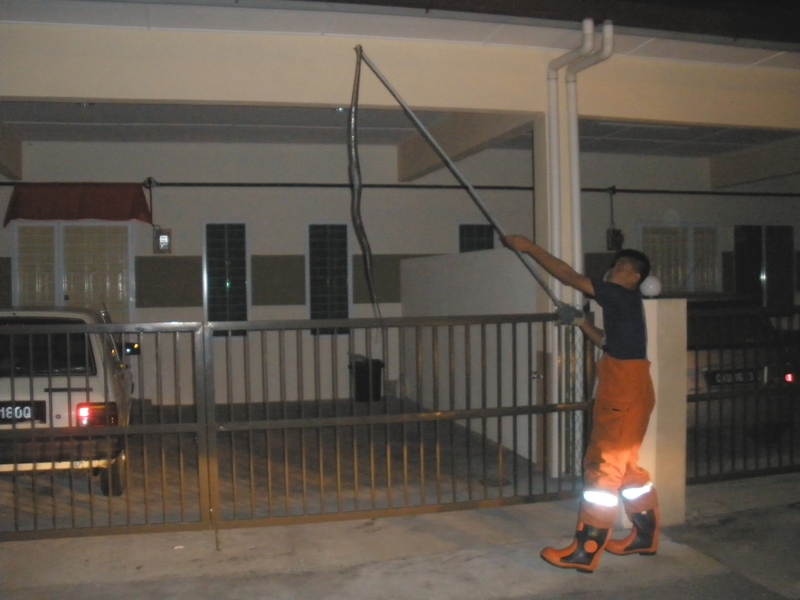 6.16 pm an emergency call was made to 999 by the owner of No.19 Primrose Taman Riveria that he has a close encounter with a very deadly reptile. The reptile “a cobra” measuring around a metre in length must have just had its feed as it rushed to the No.18 house to rests at the corner. 999 being a centralised hotline and the operator Salimah passed the line through to JPA. The above were the answers from JPA. True enough the bomba responded faster and after the incident only then did the JPA arrived ten minutes too late after the Bomba had done their days work and there was a thunderous applause. Hooray..!! Phone calls were also made to both BN and DAP legislative assemblyman. YB Voon Lee Shan was quick to respond and both of them did their bests to call the authorities concerned. An incident like this can throw the whole neighbourhood together and with 110 houses in the Primrose area in Riveria imagine what benefits it will be for a politician . Need we tell you more…. This Cobra has indeed turn up too early for XMAS but its a way for mosts of us to greet each other a Vey Merry and blessed Christmas. Thanks Bomba and JPA. However its up to the YBs concern to bring up this issue of a quick respond. 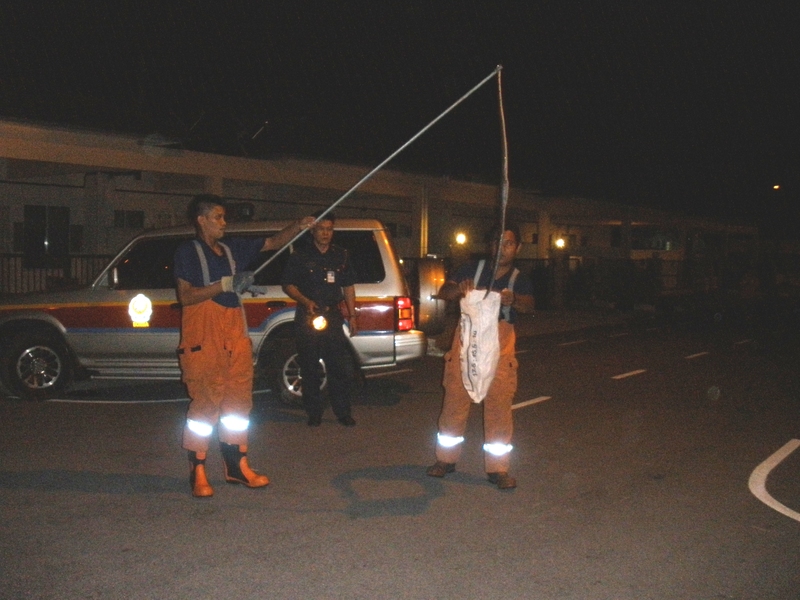 The cobra was finally caught at 7.23pm. The cobra did take an hour of our time to create and enhanced the neighbourhood to 1Primrose.Hmmmm..